After a summer of high water levels, the last two weeks of the season brought low water combined with high heat. The fishing was challenging with the Gaulfossen gauge reading 7m ³. Nevertheless, our guests managed to catch a few fish. Joachim Ruthmann, Holger Wust, Taki Alvanos, Frank Haas, Tomasz Dykas, Henry Bert, and Thomas Mahnke all had luck. Thomas also managed also to catch a few nice seatrout during the low water period. 3 days before the season end, rain finally came and the river rose to a nice level. The fishing picked up and we were able to catch some nice fish! 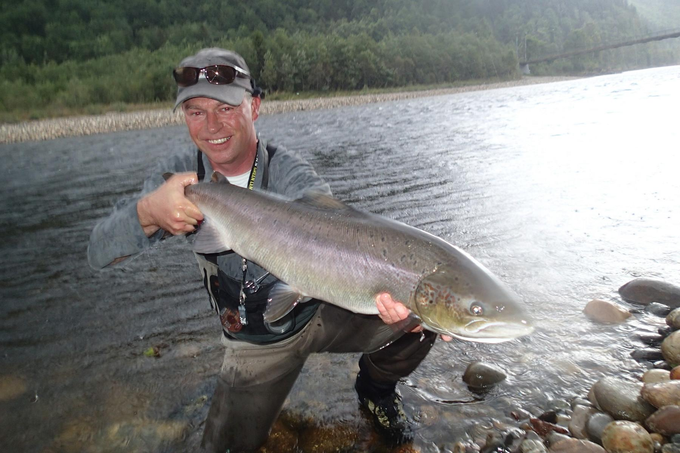 Thomas Mahnke landed and released a beautiful female just downstream from our lodge – a nice fish of about 9kg. Thomas with his beauty of about 9kg, well done Thomas! …she could not wait to get back, released in well condition! Also Ludevit Kurpas caught a nice fish on Beat BS2. It was his first salmon ever on his 2nd day of salmon fishing – a great start and we have the feeling he will be back and try salmon fishing again! 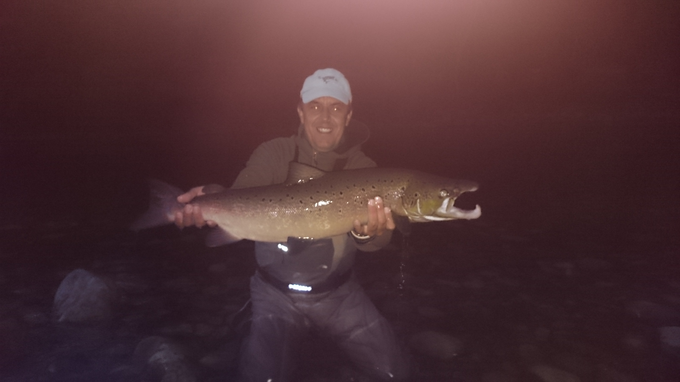 A dark salmon caught in the dark – but a first fish of 80cm and about 5kg is a great start! Also NFC’s Daniel Stephan managed to land his last salmon of the season during the closing days on Beat A1 which was one of our best pools all season. 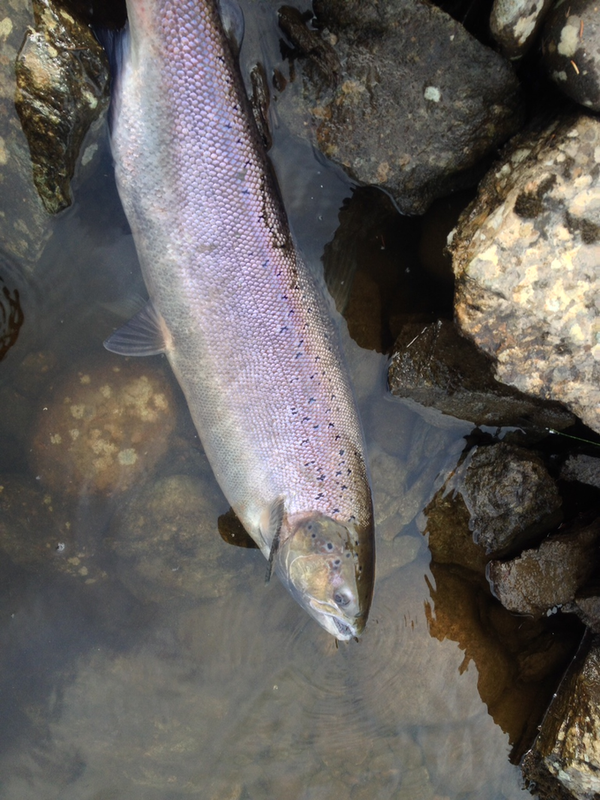 Daniel’s female salmon of about 6kg, ready to go back and continue the run to spawn! We already can say without having seen the total river-figures from 2015 that this season was a good season for the Gaula and for us at NFC as well. We experienced some really great weeks with lots of fish and good sizes. It was not a season with extraordinarily big fish, but we are glad to see the Gaula in much better shape than 2013 and 2014. There are lots of fish in the river, so the spawning season 2015 should be great and ensure some good fishing in the future. 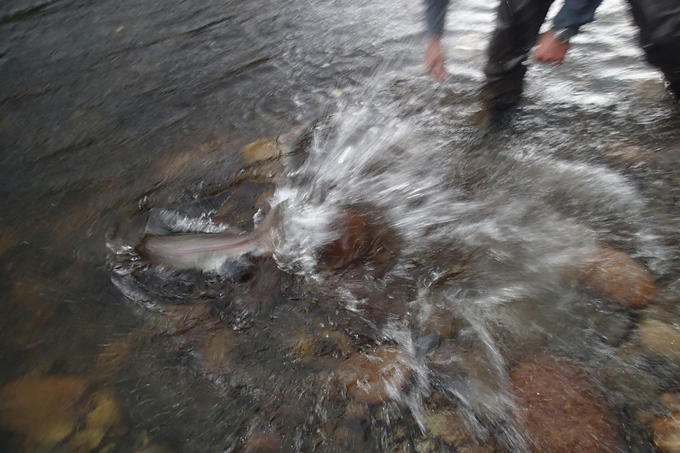 Another very positive not was the increased number of Smolt we saw during the last week in the river, even though the spawning the last two years have not been impressive. 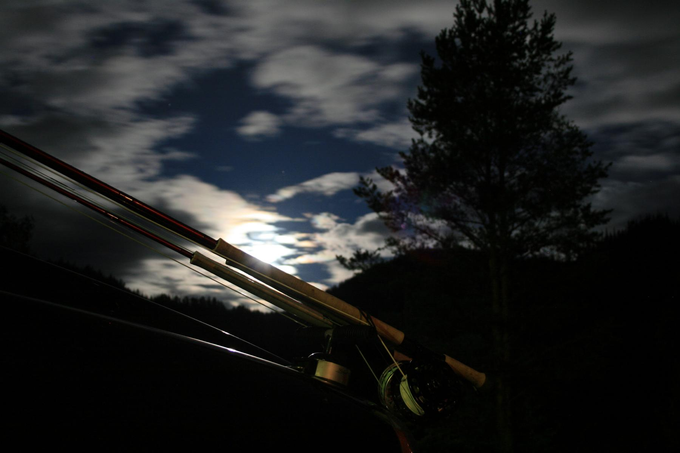 All things considered we should be able to catch some great fish during the coming year on the Gaula – excellent news and we are looking forward to it! We have been packing up now and most of us have left the valley for the winter. We will be back next spring and hopefully experience another good season. Scientists expect a year of big salmon coming up, so 2016 could be a season of a fish of a life time! We will see! It is time to say good bye – for this time! We will be back! As soon we have news about total figures and some more data about the past season we will let you know. For now, we would like to thank all our guests for being part of this great season! It is a pleasure to welcome you back year after year on the Gaula! We look forward to seeing most of you back next summer!